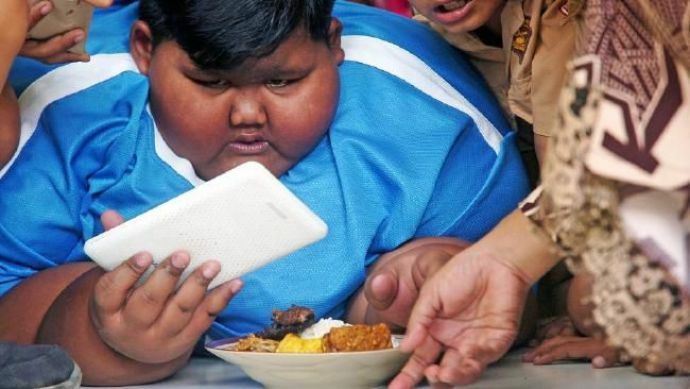 Meet Arya Permana: World’s Heaviest Kid From Indonesia Weighing 192 Kg! Before this surgery, Arya’s daily diet was two packets of noodles, two eggs, more than half a kilo of chicken and rice. 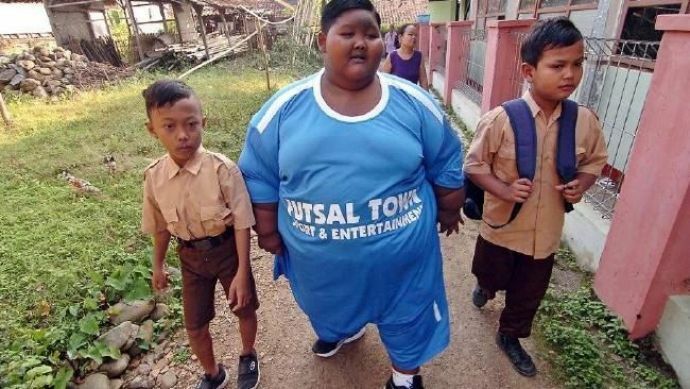 Arya Permana, now 11 years of age, first made the news when people found out that he weighs same as six boys his own age. Hailing from Karawang in West Java Indonesia, Arya struggles even to walk more than five minutes at a time. He is rightly named as the heaviest kid in the world as he gulps up five meals a day, each serving equivalent to the food of two adults. Ade and Rokayah Soemantri considered taking medical help when they were convinced that their son had to have drastic surgery or he'd die. Just a month before he underwent a five-hour gastric sleeve operation, becoming the youngest person in the world to do so, he has already lost nearly 70lbs (31kg) - roughly a sixth of his weight. Surgeons at the Omni Hospital in Jakarta expect him to lose a further 220lbs (100kg) within 12 months as a result of removing a large portion of his stomach. Before this surgery, Arya’s daily diet was two packets of noodles, two eggs, more than half a kilo of chicken and rice. Initially, doctors had called Arya's condition 'one of the toughest cases of obesity in the world' and if the situation was not controlled it could have proved fatal. And still, his parents kept on feeding him greasy curries and high-cholesterol snacks, such as salted anchovies and hard-boiled eggs. Arya weighed 3.7 Kg when he was born and didn't start gaining weight until he was five. 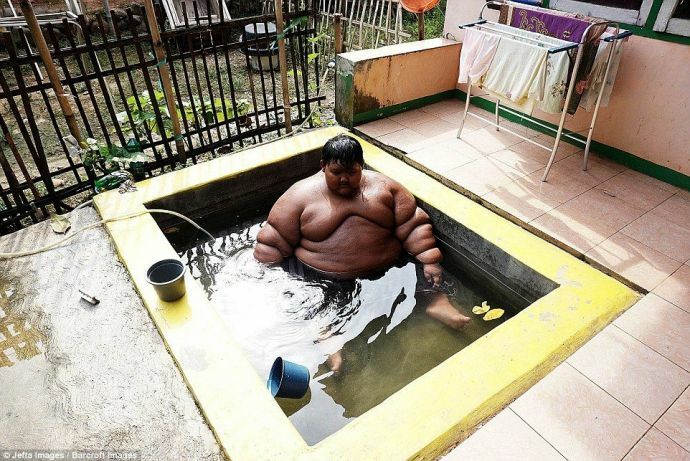 Till the time he was nine he gained 127 Kg and started to gain attention. According to doctors, A high level of the thyroid stimulating hormone (TSH) was found in Arya, however, it was not enough to explain his morbidly obese state. So, they decided to closely monitor his intake. Arya, who 'wanted to eat all the time', has already been planning what he will do once he loses more weight. He wants to go swimming, play football and ride bicycles.